I was taking another look at my reading by genre counts (here) the other day, thinking what I might focus on more this year. In 2018 the majority of my reading was mystery fiction, with science fiction and fantasy a distant second, closely followed by nonfiction, straight fiction (sometimes called “literature”) and then the rest. While I’ll still be reading mysteries, lately I’ve been feeling an itch for science fiction and – especially – fantasy, and will be reading more of it in the first half of the year. You’ll see one SF oldie this Friday, and likely more SF/F in the coming weeks. Stay tuned, It’ll be a blast. Looking forward to seeing what you decide to read, especially in the fantasy realm as I don’t recall you reading a lot of fantasy in the past. I started with fantasy with Conan (then sword and scorcery were included in fantasy) in high school, along with Fritz Leiber and the Gray Mouser stories and the like. I soon discovered Tolkien, and then, well, you can imagine. Over the years I’ve read a lot of it, preferring what is often called “epic fantasy” these days. Last Fall I read a piece in Black Gate about some books by Michael J. Sullivan, his Age Of series, Age of Myth, Age of Swords, Age of War. I loved them and am eager for the next one, due in Summer. Meanwhile I have a few other things to try, including one by David Keck. I’ll be reading SF and fantasy, I have both on the TBR shelves, sometimes stories with aliens and stories with horses and wizards seem to overlap, in a way. I read the two collections of Dresden Files stories by Jim Butcher last year. I guess they could be called urban fantasy. Probably, but when I say “fantasy” I almost always mean the more classic definition of dwarves, elves, wizards, a somewhat medieval setting, swords, horses, magic, etc. Tolkeinesque, Eddings, all the rest. 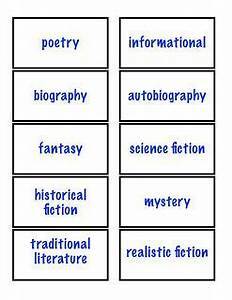 I would guesstimate that 20% of my reading is Science Fiction, 20% is Fantasy, 20% are Mysteries, 20% are Non-Fiction, and 20% are Miscellaneous (mainstream fiction, graphic novels, poetry, etc.). That’s perfect, George. I’m nowhere near so balanced. I do look forward to your reviews of science fiction and fantasy books. I still have several to read that you reviewed… or suggested. Thank you, Tracy. I always hope someone who tries a book I’ve reviewed likes it!